This chapter explores current literature and initiatives in the field of integrated palliative care. 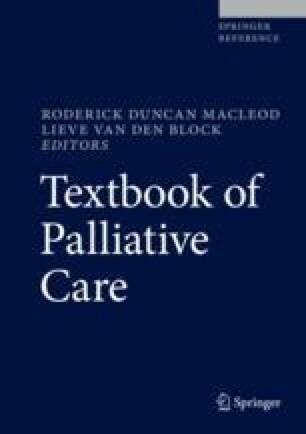 The chapter starts with an exploration of the concept of integrated palliative care, followed by practice examples across Europe, models from the literature, and examples from guidelines. After this, barriers and opportunities for integrated palliative care are investigated. Finally, proceedings from the World Health Organization are highlighted to picture an international perspective. We conclude that integrated care has often been considered and discussed from the perspective of better integrated healthcare delivery, which is needed and valuable. But efforts for better integration of palliative care should move beyond a better organization of medical care and need to be rigorously designed from the perspective of the suffering patient in the last phase of life, and their families. Hasselaar J, Payne S. Integrated palliative care. 2016. Available via www.insup-c.eu. World Health Organization. Report on integrated people-centered health services: report by the secretariat. 2016. http://www.who.int/servicedeliverysafety/areas/people-centred-care/framework/en/. Accessed Jul 2017.